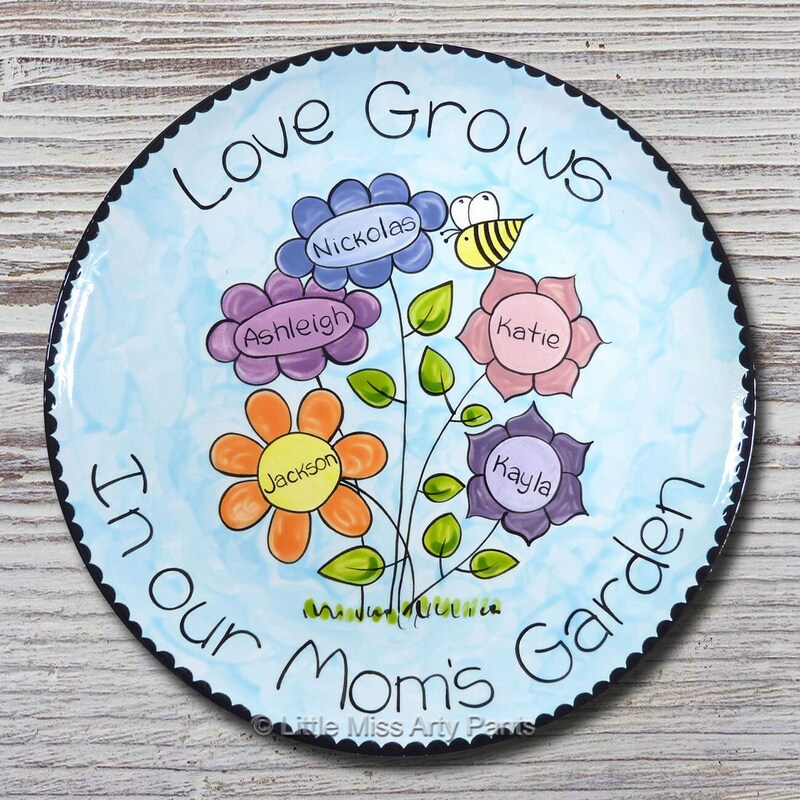 The 11" ceramic plate is hand painted and personalized just for you with a colorful garden flower design that includes a cute little bee and up to 6 flowers with first names. I personally hand paint each and every plate with quality ceramic paints, and then I glaze and fire them in my kilns to create a quality keepsake. 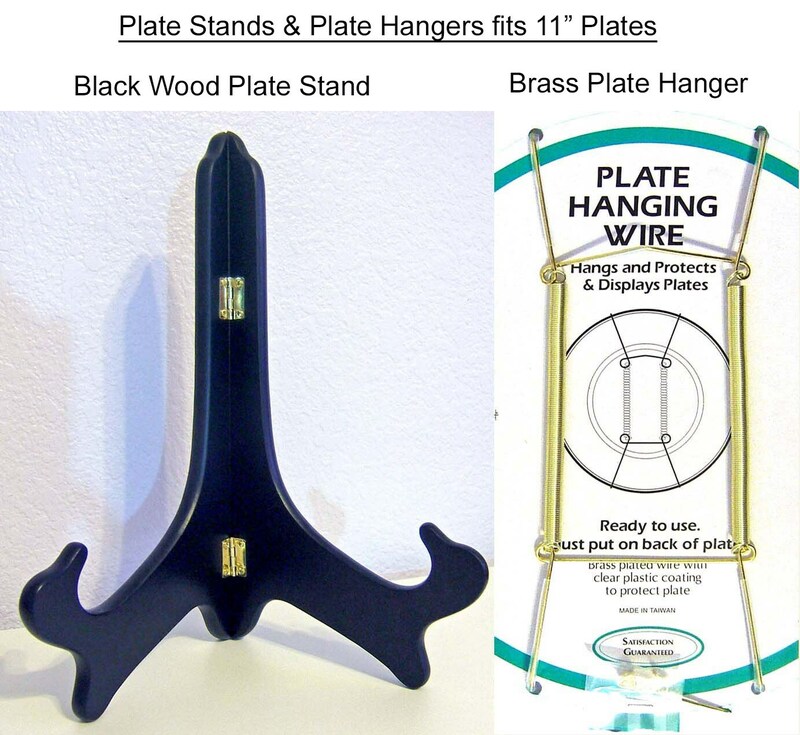 I do not use decals or paint pens, only quality non-toxic ceramic paints and glazes. 1. Names for Flowers - You may add up to 6 names. 2. Text for around the plate... (Ex. 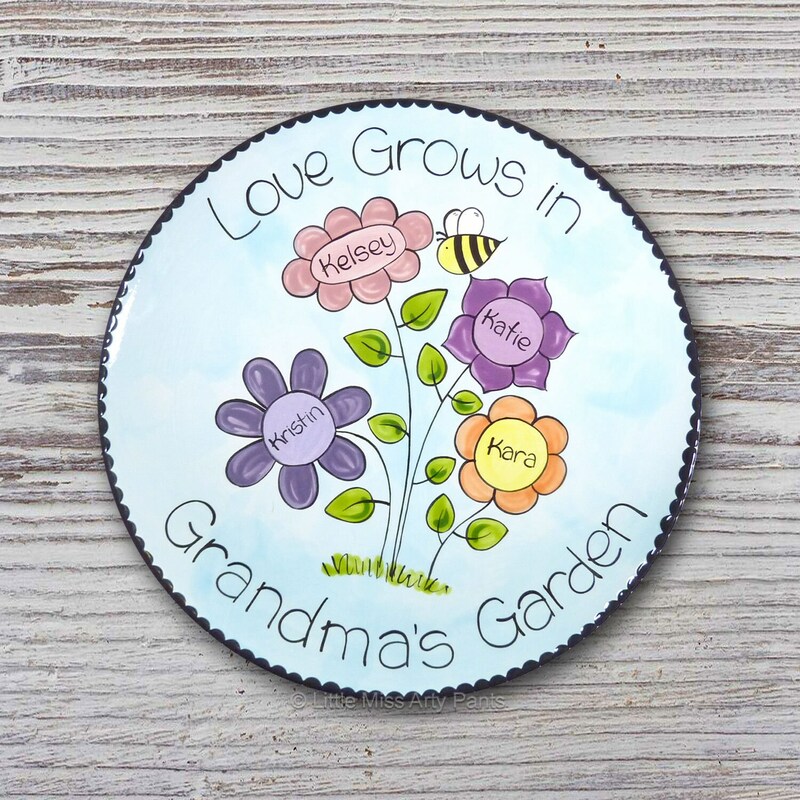 "Love Grows in.... Grandma's Garden").